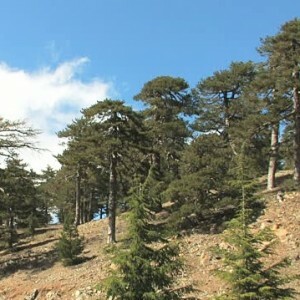 Troodos is the largest mountain range in Cyprus, located in the center of the island. Its highest peak is Mount Olympus, also known as Chionistra, at 1,952 meters. 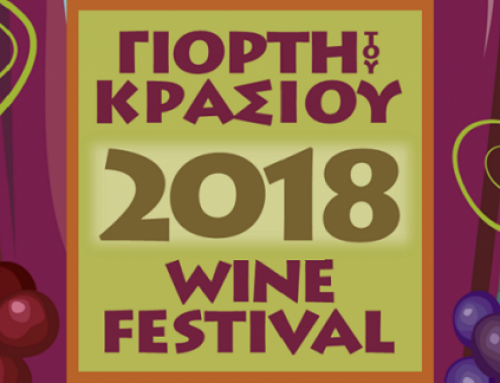 Troodos is well known for its beautiful resorts, traditional Cypriot villages, scented forests, and for its cultural heritage such as historical monasteries and churches. 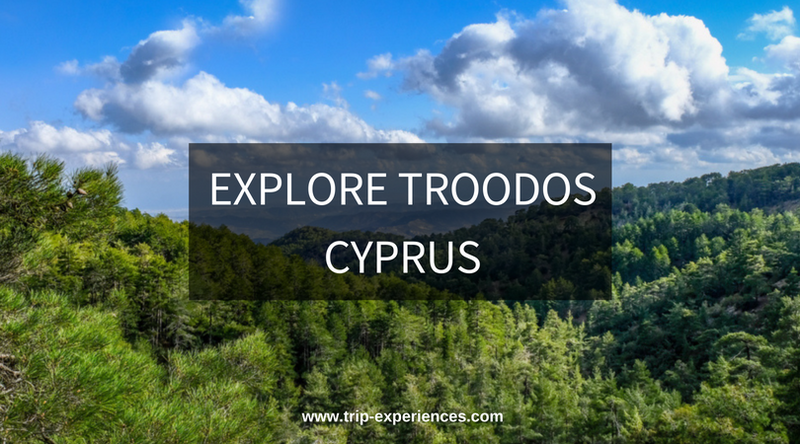 So you’ve decided to explore the Troodos area and you are looking for some recommendations? Are you just visiting for the day or you are planning to stay somewhere? 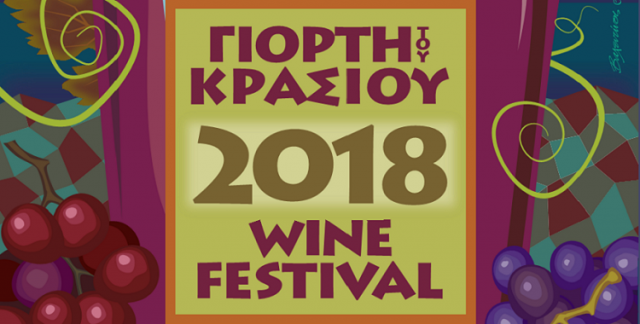 I would totally recommend you to spend a weekend in the Troodos area, by booking a hotel, an apartment, or even better a traditional holiday house. 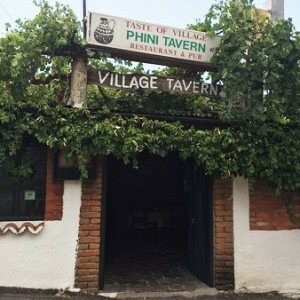 By staying there you will have more time to enjoy the surroundings, villages, scenery and the amazing food you can try at many local restaurants and taverns. 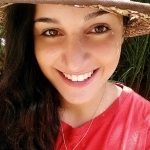 Below I’ve listed some great things you should do and places to visit along with recommended places to enjoy a nice meal during your visit in the area. 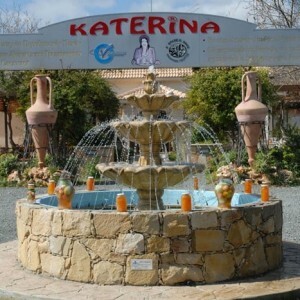 Considering that you are starting your journey from Limassol, Troodos Junction, on your way up to Troodos mountains, make your first stop at Katerinas Cyprus Sweets shop. An authenticate Sweet Shop. It’s located on the main road and you’ll see it on your left side. You will be amazed of what you’ll find here. Anything you can imagine, they’ve made it a sweet. Fruits and vegetables made into jams and sweets. There’s free tasting so make sure to taste some of the most ‘strange sweets’ you mostly have never tried before. Another recommended stop is Millomeri Waterfalls. 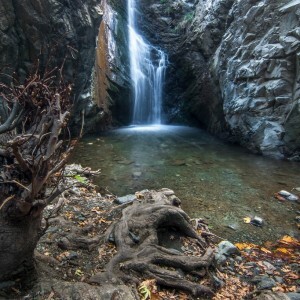 Millomeri is among the highest waterfalls in Cyprus. You’ll need to get off the main road park your car and walk a few meters till you reach the waterfalls. Kakopetria is a beautiful scenery village. It is surrounded by thick forestland and is built on the banks of two rivers, Kargotis and Garillis. 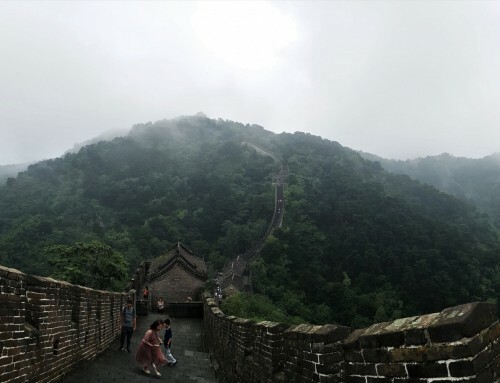 When visiting the area you will be able to notice the new area from large, modern houses and their tiled roofs, built in the gradient ground and the riverbanks, which is located in the eastern part of the valley. The old area is built west of the valley and between the two rivers. 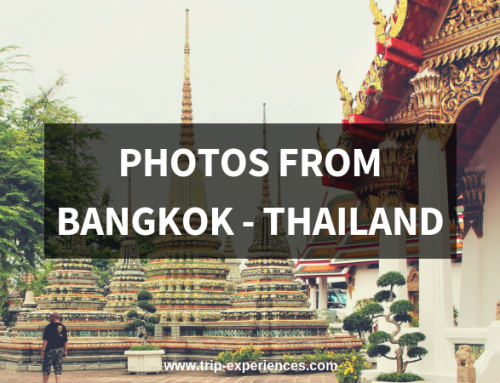 The roofs of the houses are sloped and tiled and almost all of the houses have an upper floor and a wooden balcony and they used to have in the past years. Near Kakopetria there is church Agios Nikolaos tis Stegis which is a UNESCO World Heritage Site along with nine other Painted Churches in the Troödos Region. 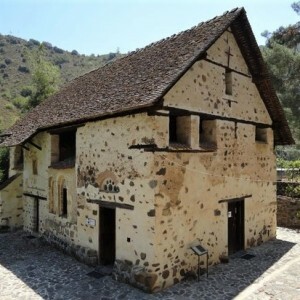 The church is the only surviving Middle Byzantine monastery church in Cyprus during the 11th century. 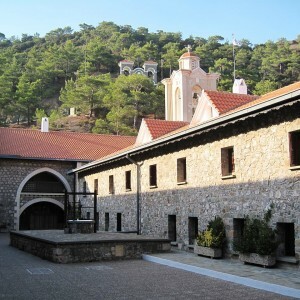 Agios Ioannis Lambadistis Monastery is a beautiful UNESCO protected monastery in Kalopanayiotis village. It’s an authentic place. Nearby you’ll enjoy walking around the area, there’s a small river and you might have coffee at the nearby coffee shop. Olympus, or Chionistra, is the highest point in Cyprus at 1,952 metres, located in the Troodos Mountains of Cyprus. Mount Olympus peak and the “Troodos Square” fall under the territory of Platres in Limassol District. 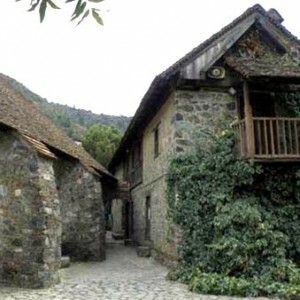 Agros is a village built on the Troodos Mountains, in the region of Pitsilia. The village maintains its traditional character and offers a natural and built with significant historical, religious and cultural sites. Tourists and tourists do not only visit the village for the day but also stay there for Agrotourism. Accommodation can be found at traditionally built hotels, as well as at many bed and breakfast rooms in traditional homes. Mesa Potamos area, is located near Saittas, towards Kato Amiantos in Cyprus. 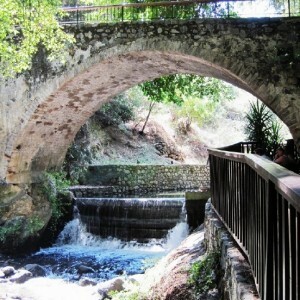 You can spend a whole day here by visiting the Waterfalls, the Monastery and have a relaxing time at the picnic area. For more information please read my full dedicated post to Mesa Potamos. If you have kids, spend some amazing time at Sparti Platres Rope Adventure Park, a place ideal for family outdoor sports activities. The place has been certified by Europe for its extra security. There’s, more than 62 games and 8 Zip-lines, whilst you can enjoy an extreme quick jump from 16 meters and high-speed zip line (for adults). There’s also a cafe to enjoy hot & cold snacks. A bit far from the rest of the points I’ve mentioned above, there’s an amazing historic place everyone should visit, Kykkos Monastery, one of the wealthiest and best-known monasteries in Cyprus. 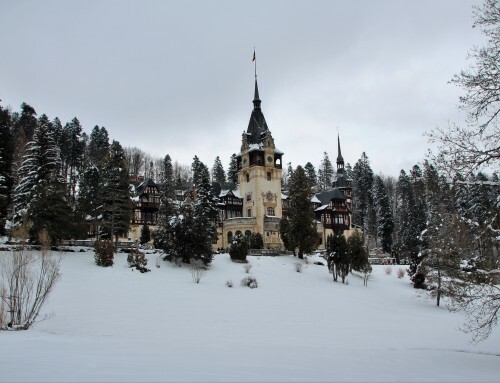 The monastery lies at an altitude of 1318 meters on the north-west face of Troödos Mountains. There are no remains of the original monastery as it was burned down many times. The first President of Cyprus, Archbishop Makarios III started his ecclesiastical career there as a monk in 1926. He remained fond of the place and returned there many times. His request to be buried there materialized after his death in 1977. His tomb lies 3 km west of Kykkos monastery and remains a popular visitor destination. 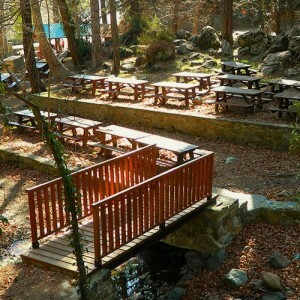 The Trooditissa picnic site is located on the Platres-Prodromos road, 6km from Platres, on the right hand side of the road, before the Trooditissa Monastery. The picnic area is able to accommodate up to 700 people, who visit the site and enjoy the facilities available which include tables and chairs, drinking water, washrooms as well as suitable areas to have a barbeque. Skylight is another great restaurant in the scenic Platres area in the mountains. The food is nice, the staff is friendly, the restaurant clean and has nice views over the mountains. At Phini Restaurant & Tavern we had the mezedes which were delicious. I loved the pasta dish (macaroni tou fournou). And they also have kleftiko. The owner of the tavern is very nice. At the end, we were offered some nice sweets and coffee. Loved the decoration. Very good prices! Totally recommended. 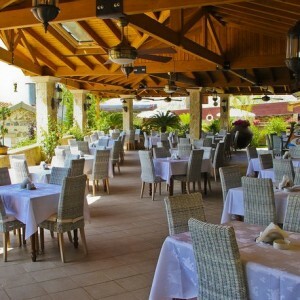 Mylos Restaurant is one of the most popular places for lunch during Sundays. Their signature dish is fresh Trout, cooked in butter and garlic. The restaurant is located next to the Mill Hotel. Make sure to book in advance before going and ask to be seated on the balcony in order to enjoy the scenery. 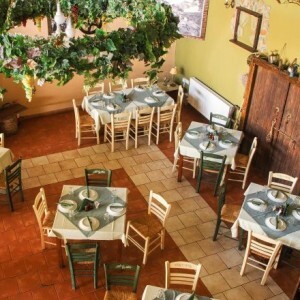 To Palio Cinema in Kalopanayiotis is another great choice for having lunch. I would highly recommend you this restaurant since apart from the delicious food and its amazing quality the service is top. 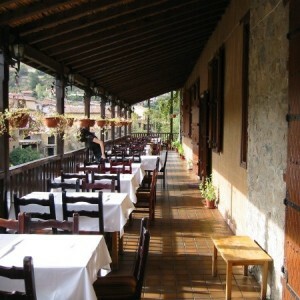 Agios Demetrios is another popular place to eat, in Platres. You’ll taste some great food here and enjoy the cypriot hospitality. Another nice place is Orosimo in Platres. You may stop by for a coffee during the morning or have your lunch or dinner.